When you get the message “ I saw that you posted something new on your blog, I am saving it to read with a relaxing cup of tea this afternoon” Is what every blogger ESPECIALLY a new blogger seriously wants to hear. It made my day!!! 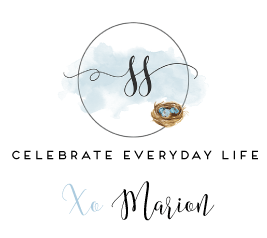 A couple of days ago I received another sweet message from a young lady (another feel-good moment given that my blog is geared towards women that are 50+) asking me how to create an Easter tablescape that won’t break the bank. This young lady named Tara said she and her husband just moved into their first home with their new baby. I took this as a challenge and hit the pavement! Hobby Lobby and Dollar Store here I come! I think you will like what I have done. 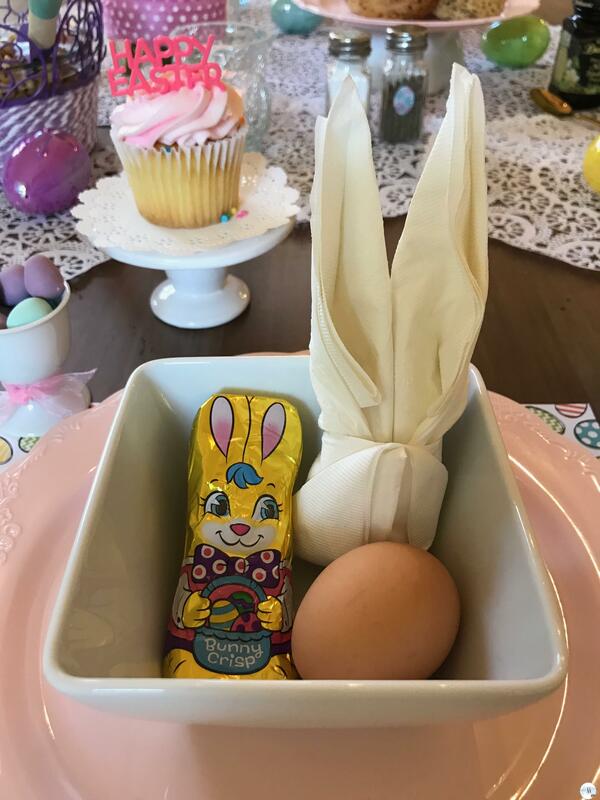 I hope you will be able to use some of the ideas in your own table settings this Easter weekend. First thing I wanted to suggest to Tara was a tablecloth. I don’t know if you have ever priced a tablecloth lately, but they can be expensive unless of course you go with plastic and I didn’t want that for her. 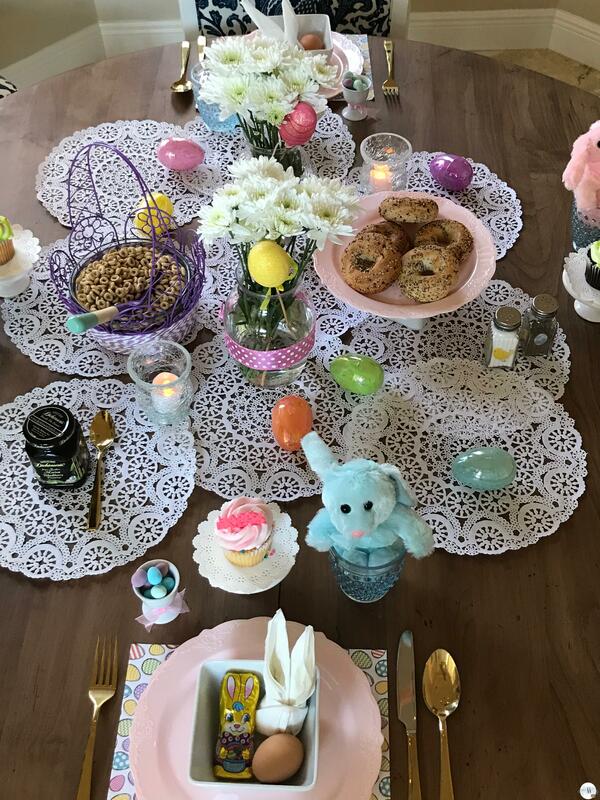 Plastic tablecloths are for picnics and craft tables not really for an Easter table setting…. 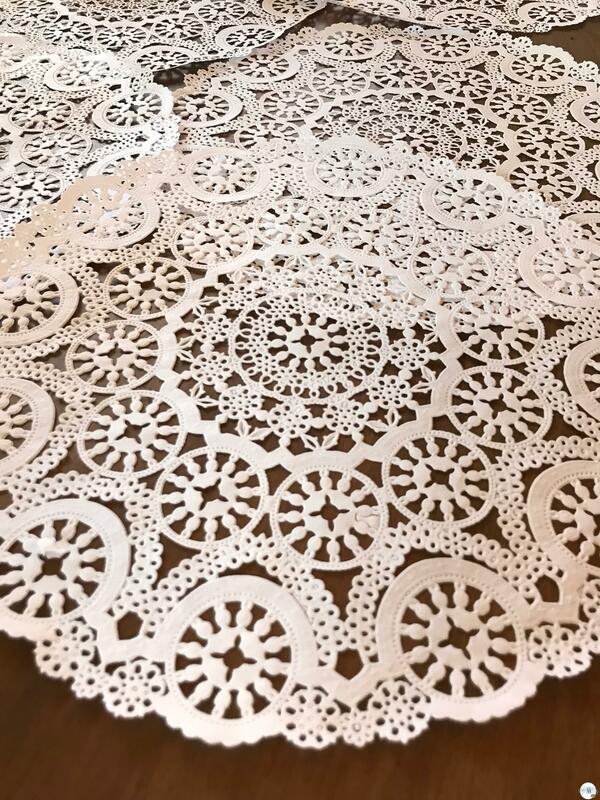 I came up with the idea of putting doilies in the centre of the table. You can play with the placement to suit your needs. 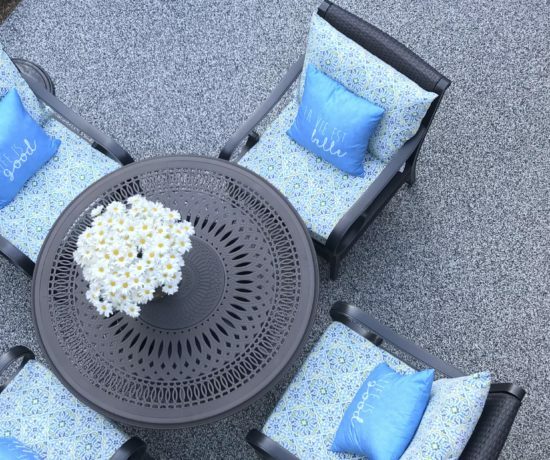 You might want more of your table covered or maybe less…whatever looks pleasing to your eyes is the perfect amount. 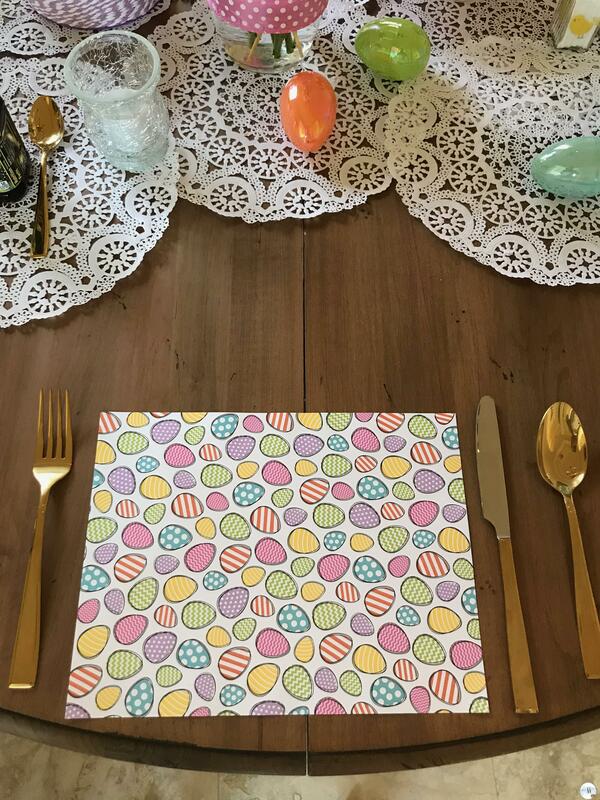 From Hobby Lobby I bought 4 pieces of Easter paper to be used as placemats. These could easily be laminated if you want to reuse them. 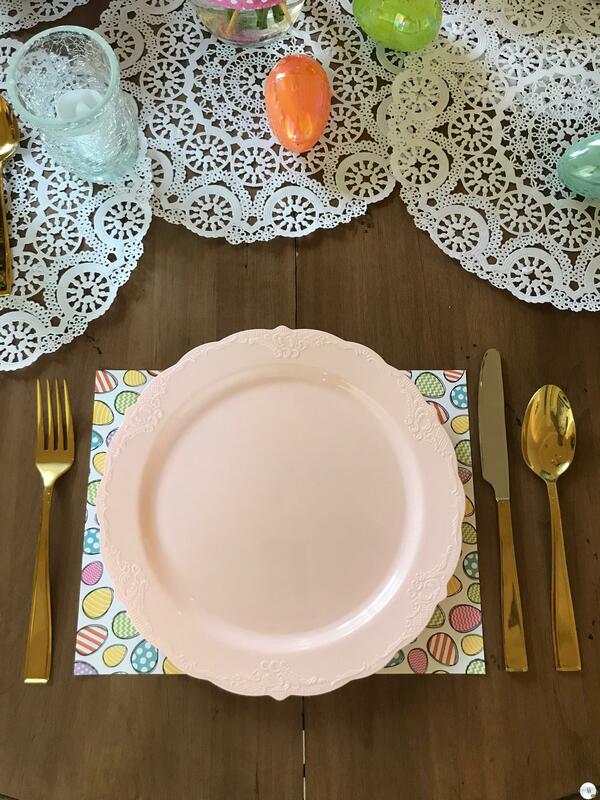 I found these super pretty plastic plates at Home Goods….look at the sweet detail around the perimeter. I love these. I didn’t purchase these bowls they are right out of my own kitchen cupboard. I am assuming that everyone owns a cereal bowl (although I do believe there is a saying about ‘don’t assume’). If your bowls have a predominant colour to them you can buy a plastic plate that coordinates with it. You don’t necessarily even have to use plastic plates. I did for the sole purpose of having a soft palate to work with. What do you think of my napkins? I’d say these are kinda cute little bunny ears. I am pretty new at napkin and towel folding. LOL…it’s fun to try new things. I used a square, paper, napkin for this. I tried to use a cloth napkin but I would have had to add some pretty heavy duty starch to it and iron the folds along the way. The clock was ticking to get this done!! 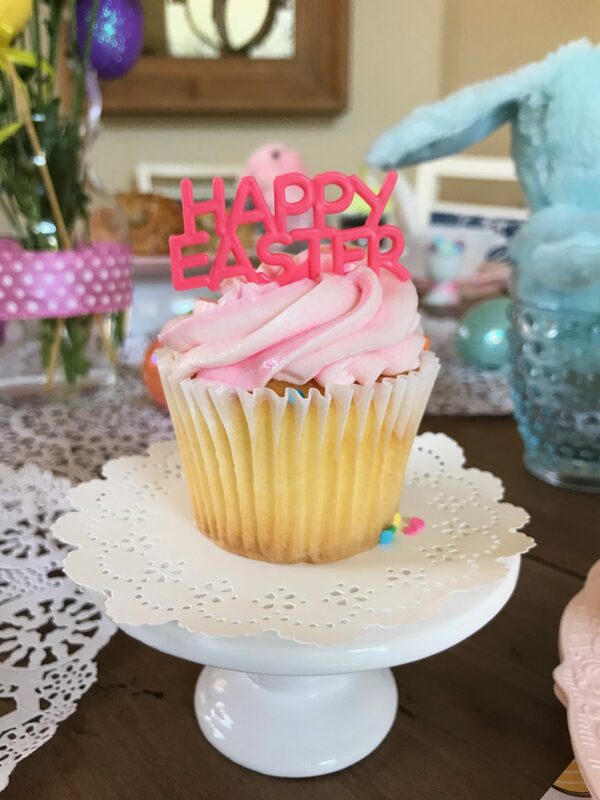 Each place setting has a small pedestal plate with an Easter cupcake on it. The pedestal plates were one dollar each at Target. They have a $1 section and that is exactly where I got it. The big bin!! You can buy cupcakes already decorated or you could always bake your own and purchase picks for the tops of them. It would be fun (and messy) to bake with the munchkins. 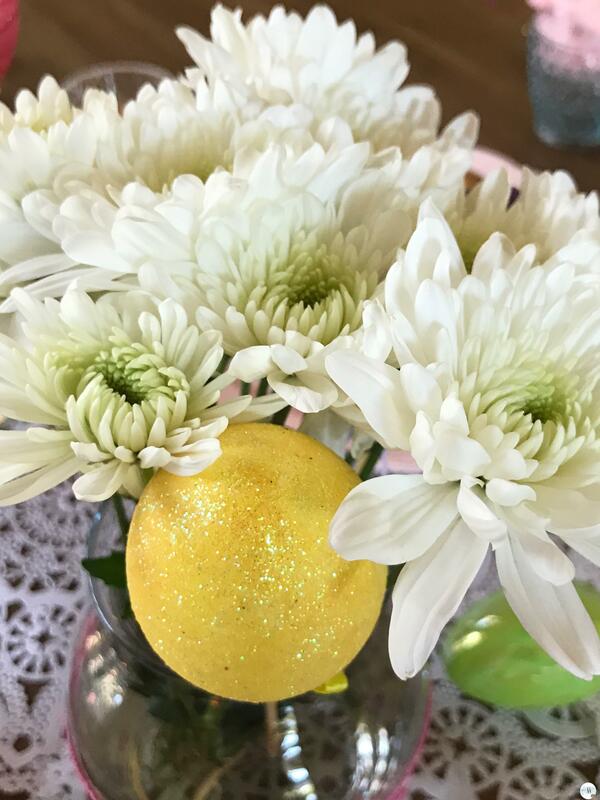 I bought 4 of these egg cups from the dollar store and tied a simple piece of ribbon around the stem to add a little more Easter flair to them. I filled them with chocolates…cause chocolate at Easter is kinda a big deal right? This is how each place setting turned out. Not bad so far…You might remember Bugsy from my previous post. I had to purchase new ones from the dollar store just for this post. 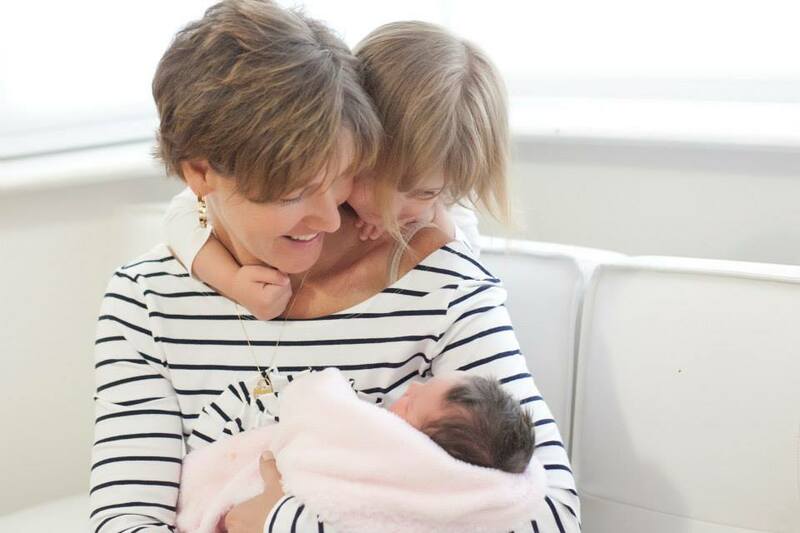 When Savannah and Lilah left last Sunday they scooped the four that I had! Add a little ambience as showcased here with Bugs! 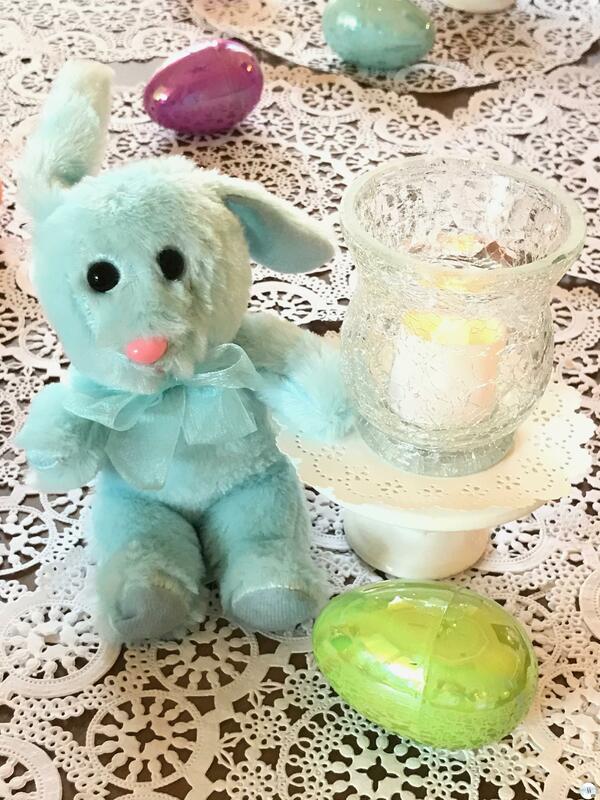 These candles are battery operated which is great when there are little ones at the table…they were 2 for a dollar and the candle holder was $1. 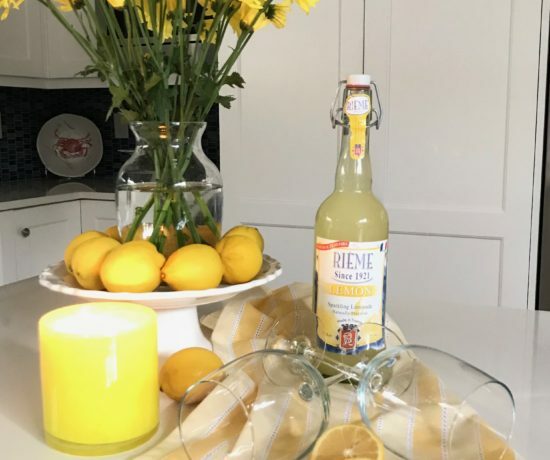 You can set your candles directly on the table or give them a little boost with a pedestal. 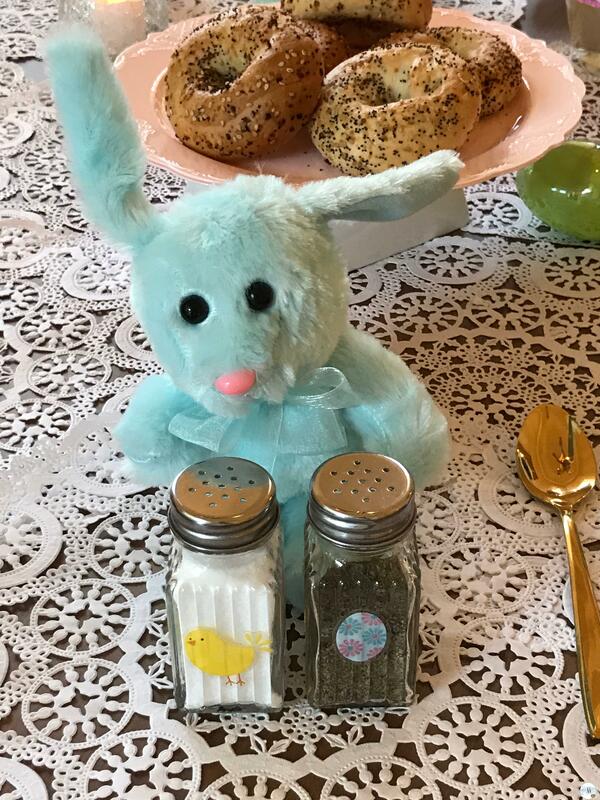 Salt and pepper shakers are from the dollar store and so are the stickers. These will be super easy to use on other holiday tablescapes by changing out the stickers. Think Valentines or St Patties day. 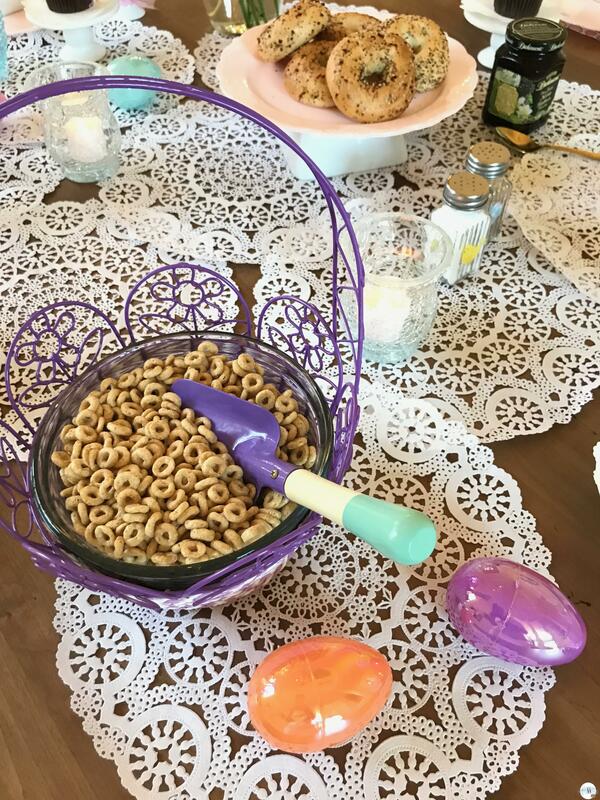 Remember the cereal in my other Easter blog, I poured it into a ceramic pail. The pail was about $20. 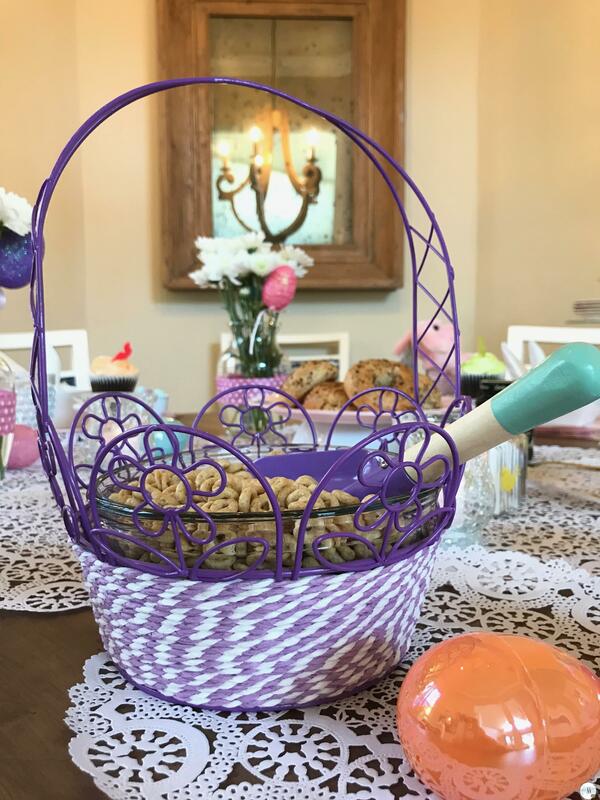 This basket from Publix was $2.99 I put a bowl inside it so the cereal didn’t end up all over the place when passing it around. Again from the Target store one dollar bin…I found this purple shovel. It has a matching garden fork. I will keep these and maybe use them as salad utensils when the kids are down again or more likely the girls will find them and take them on our next beach trip….whatever! I love using varying heights on my table. If you cannot find or cannot afford a larger pedestal flip a bowl upside down and balance a plate on top of it. You could use a much larger plate and a serving plate or tray. Voila! Flowers make everything better. I bought Daisy’s for two reasons. 1)They are not expensive and 2)they last a long time. Carnations are another great choice when budget shopping. I do love Tulips…but boy they don’t seem to last, or maybe I’ve just purchased so darn many lately for all these tablescapes! 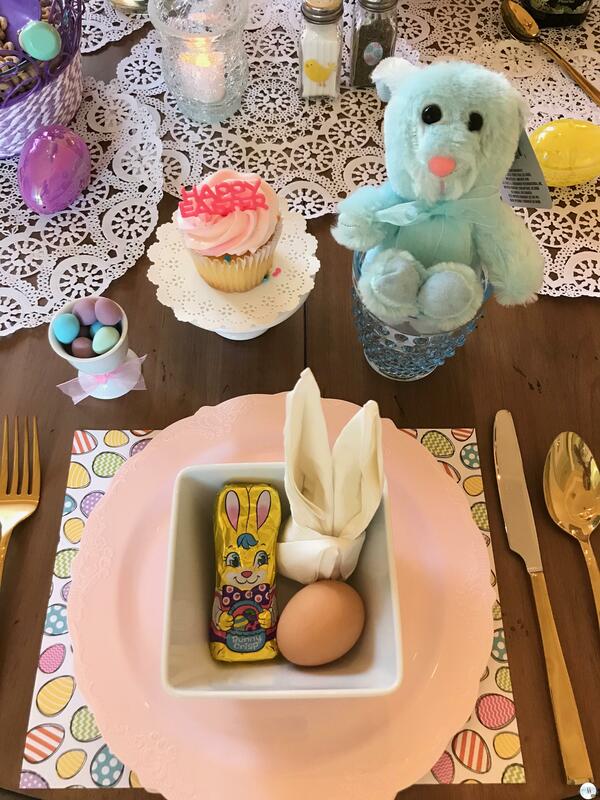 So there you have it….a complete Easter table setting is done on a very Savvy budget. 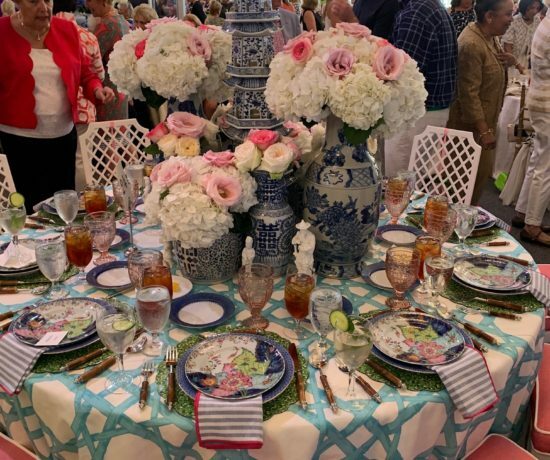 Here is a breakdown on what I bought for this table setting. Savvy Tip – instead of using doilies you can run a piece of wrapping paper down the centre of your table to add a splash of colour. 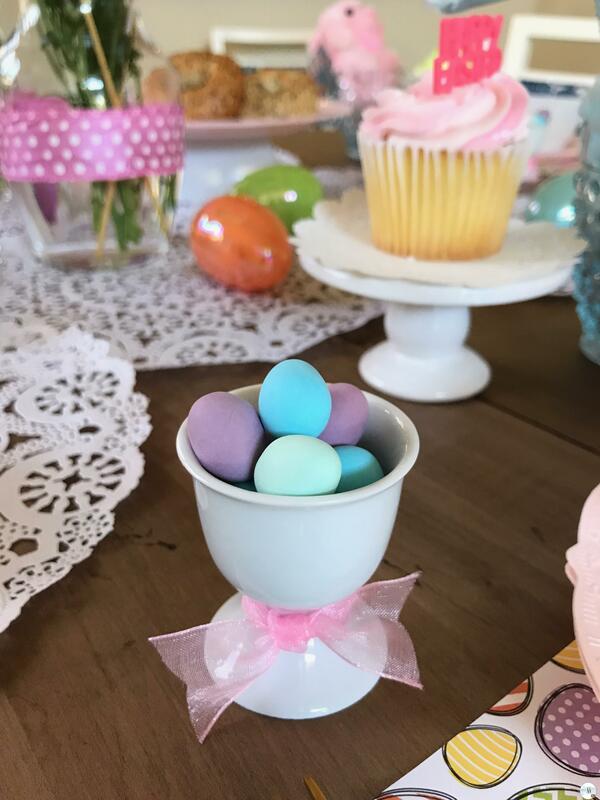 I hope have given you some more inspiring and inexpensive ideas to create a memorable Easter table for you and your loved ones. 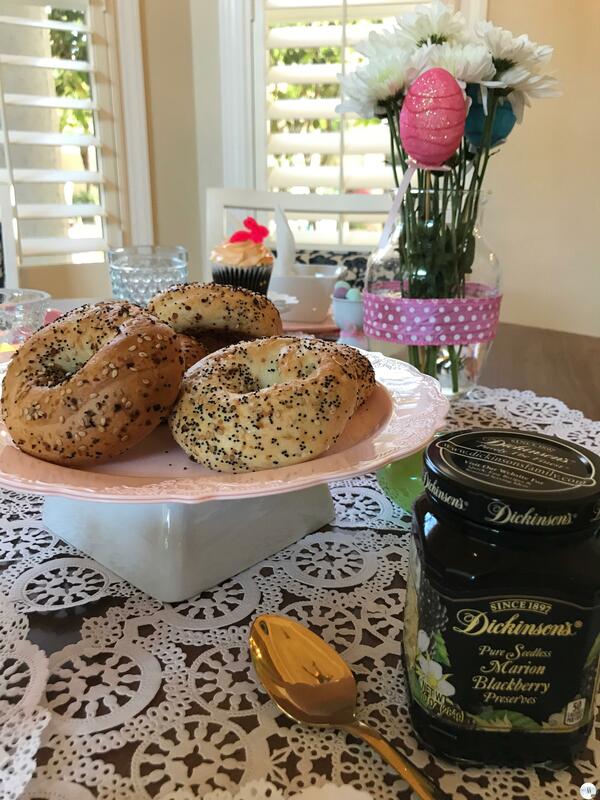 Happy Easter to everyone…thanks so much for taking the time to read my blog. It always means so much to me when I read all of your kind responses.